We’re addicted to data. As individuals, we’ve come to expect access to social networks and an array of communications tools from almost any location. Most organizations are unable to perform the basic functions of commerce without fast and reliable access to data. The organizational data center – the locations that store, secure, and serve this data – has become the engine that powers our economy and our society. As our hunger for data grows, so do the requirements of the data center. These demands have led to concerns about not only the high costs of building and operating data centers, but also their environmental impact. Data centers consume a tremendous amount of energy to both power and cool the equipment they contain. In fact, they’re now estimated to use 1-2% of the entire world’s energy – a rising figure. As a result of the complexity, cost and environmental impact, many organizations are asking themselves whether or not they even need their own data centers and reviewing options like cloud, co-location, automation and managed services to reduce their data center footprint. These three data center strategies - in-house, co-located, and cloud - have advantages and disadvantages. Dimension Data conducted research, which showed that organizations using a co-located data center can benefit from lower costs and reduced energy consumption when compared to an in-house data center. This research was conducted using a detailed model to quantify the impact on cost, energy consumption, and carbon emissions of all three strategies. Several factors were considered – most notably scale, but also the energy efficiency of the data center, and the configuration and type of IT equipment it contains. These parameters were set based on a combination of industry best practice and first-hand experience gleaned from Dimension Data’s own data center environments. Dimension Data’s modelling showed that organizations using a co-located data center can benefit from lower costs and reduced energy consumption when compared to an in-house data center. A co-located data center also usually produces less carbon emissions, although reporting these emissions may prove a little more complex for the responsible organization that chooses to do so. Organizations that adopt a cloud computing strategy stand to save the most, as costs can be drastically reduced and primary energy consumption for data center hardware is entirely eliminated. Cloud computing can also remove any associated carbon emissions, although this depends on how the business defines its reporting boundary. The positive effect of both approaches is largely due to the outsourcing of numerous energy-related responsibilities to the data center or cloud computing provider. It’s clear that energy is still being consumed and carbon is still being produced, however, as the providers are servicing multiple clients, they’re able to gain greater efficiencies than most individual clients due to greater economies of scale. The cost and energy benefits of adopting a co-located data center or cloud computing strategy decline with scale. As an in-house data center strategy gives organizations more control, organizations with extremely large data center requirements or a significant dependence on their data centers to do business may decide to retain them in-house. With the right focus and investment, these extremely large in-house data centers could provide greater energy efficiency than co-located data centers. An in-house data center strategy also allows organizations to choose where they source their energy from, enabling them to use renewable energy to drastically reduce carbon emissions. It is clear that it is not an easy task to choose an efficient data center strategy that delivers a balance of low cost, energy consumption, and carbon emissions in today’s environment, therefore organizations should use the cloud wherever they can, build only when they must, and co-locate everything else. 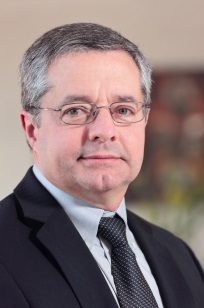 Bio: Industry veteran, Kevin Leahy, is the Group General Manager, Data Center Business Unit, Dimension Data. In this role, Kevin is responsible for defining the tools and architecture Dimension Data implements to solve client business challenges using virtualization and cloud. He is also responsible for the data center solution roadmaps in these areas, spanning server, storage and desktop virtualization as well as private cloud and professional services to help clients exploit public and hybrid cloud solutions. He works with Dimension Data global accounts to define strategic approaches to address their unique IT requirements.